A fresh special report from Reuters is now casting some doubt on the viability – and even the very existence – of Venezuela’s state-backed cryptocurrency, the Petro. The cryptocurrency community has been ripe with skepticism towards the Petro ever since President Nicolas Maduro, Venezuela’s controversial leader, announced the digital currency this February. According to Venezuelan officials, the Petro is supposedly backed by a whopping 5 billion barrels of un-extracted petroleum. Furthermore, Petro sales are said to have already raised $3.3 billion for the sanction-struck South American nation. As Venezuela has continued to battle rampant inflation, President Maduro has increasingly heralded the Petro as a potential solution. Most recently, Venezuelan officials announced that the country’s fiat currency, the bolivar, would be devalued and subsequently tethered to the price of the Petro, in a bid to combat the soaring inflation in the country. This latest Reuters piece, however, casts some doubts on whether the Petro is a legitimate project. Reuters reportedly visited the area around the small town of Atapirire, which is supposedly the heart of this cryptocurrency-funded revolution, and the only town in the region where government officials argue the aforementioned 5 billion barrels of petroleum that are backing the Petro will be extracted. Residents of Atapirire, however, tell a different story, stating that the government has not tried to tap into the local oil reserves – despite the significant influx of funds reported by Venezuelan officials. Rather, the only oil-extraction equipment in the area around Atapirire is reportedly old and undersized machines, many of which were abandon and overgrown. The Reuters piece also highlights the uncertainties in trying to value the Petro, which have only been exacerbated by the Venezuelan government’s recent decision to link the sovereign bolivar to the Petro. ”There is no way to link prices or exchange rates to a token that doesn’t trade, precisely because there is no way to know what it actually sells for,” according to the Venezuelan cryptocurrency consultant and computer scientist Alejandro Machado. 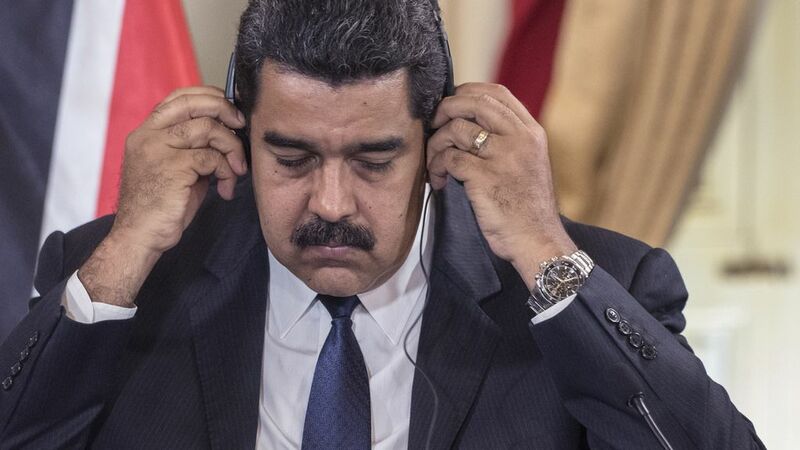 It should also be noted that analysts have expressed doubts over whether the Petro has actually attracted the billions of hard currency reported by Venezuelan officials. In addition to this, no ICO purchase registry has been provided to back Maduro’s claims that the Petro has raised over $3.3 billion. Furthermore, the Reuters representatives did not come across any businesses or shops that accepted the Petro. In summary, it would, therefore, appear that the Venezuelan state-backed cryptocurrency is decidedly not the remedy Venezuela’s economy desperately needs, and the Reuters article even proposes that it may just be castles in the air. Next Post Next Post Russian Law Enforcement Seized 22 Bitcoin ATMs Across the Country, Following China’s Model?